"Have known Lynn for many many years. I was a friend of her..."
"Mom will be missed by many. I wish I had the chance to have..."
"Lynn and I were classmates in grades 1-6 at L. T. Stone..."
"Lynn you will forever be missed. I am so greatful to have..."
"Sorry for your loss. Knew Lynn for many years thru my Uncle..."
Lynn Diane (Johansen) Rayer, of Green Mountain Falls, Colorado, born on October 3, 1939 in Galesburg, Illinois, to the late Harriett Kirkpatrick and the late Leslie David Johansen, passed away at age 78 on August 31, 2018 in St. Johns, Arizona. She graduated from Manitou Springs High School in 1957. Lynn worked at the North Pole as one of "Santa's Elves" and Rockledge Conference Center. She continued in the Tourism Industry at the Manitou Springs Chamber of Commerce as the Executive Director until retiring in 1986. She was awarded the 1984 Travel Achievement Award for the State of Colorado and was the 1984 Colorado Tourism Board "Employee of the Year". She is survived by her daughters, Paula Rayer (Kurt Dennison) of Falcon, Colorado and Beth Rayer-Davis (Gary Brian Davis) of St. Johns, Arizona; grandchildren, Kareena Kalter of Walla Walla, Washington and Corbin (Alysa) Kalter of Phoenix, Arizona; and great-grandchildren, Evander Hammond and Alayna Kalter. Lynn had a passion for rodeo, hot air ballooning, car racing, traveling, music, dancing, animals and the Denver Broncos. She was a professional photographer for the Rocky Mountain Off Road Racing Association and for several tourism advertisements in the Pikes Peak Region. Lynn had been a active member with the Pro Rodeo Cowboys Association, National Little Britches Rodeo Association, Ute Pass Saddle Club and Woodland Park Saddle Club. 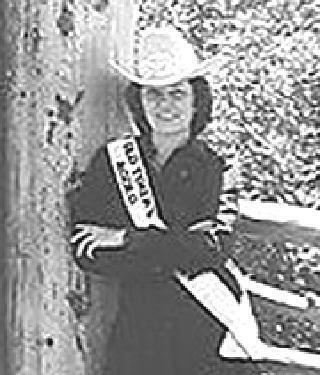 Lynn was the 1989 Old Timer's Rodeo Queen in Woodland Park, Colorado. Our Mom's favorite saying was "This life is not a dress rehearsal". In lieu of cards and flowers, the family invites contributions be sent to Paula Rayer, C/O Lynn Rayer Memorial, 6535 Rio Road, Falcon, CO 80831. Contributions will be allocated to the El Paso County Sheriff's Department K9 Unit for a ballistic vest for newly certified K9 Officer Knox. The EPSO will be conducting a ceremony where K9 Officer Knox will be presented with his new ballistic vest in Lynn's memory. A Celebration of Life will be held at a later date and a notification will be posted on Beth and Paula's Facebook . "Death leaves a heartache no one can heal, love leaves a memory no one can steal".